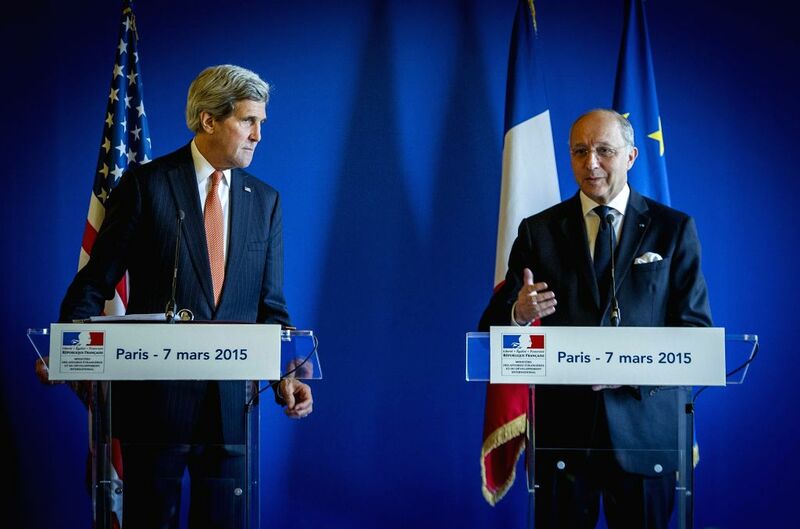 PARIS, March 7, 2015 - U.S. Secretary of State John Kerry (L) and French Foreign Minister Laurent Fabius attend a press conference in Paris, France, on March 7, 2015. U.S. Secretary of State John Kerry said on Saturday in Paris the United State and France agreed that the current nuclear deal being discussed with Iran needs to be strengthened. 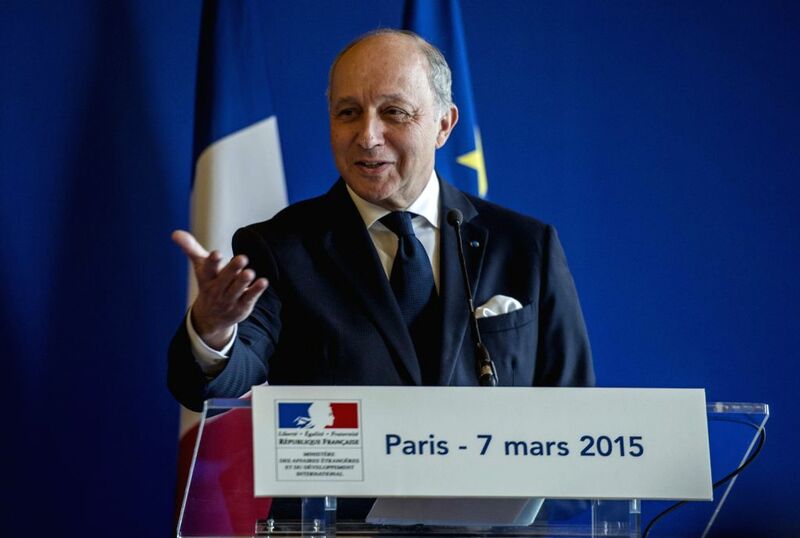 French Foreign Minister Laurent Fabius speaks at a press conference after meeting with U.S. Secretary of State John Kerry in Paris, France, on March 7, 2015. U.S. Secretary of State John Kerry said on Saturday in Paris the United State and France agreed that the current nuclear deal being discussed with Iran needs to be strengthened.